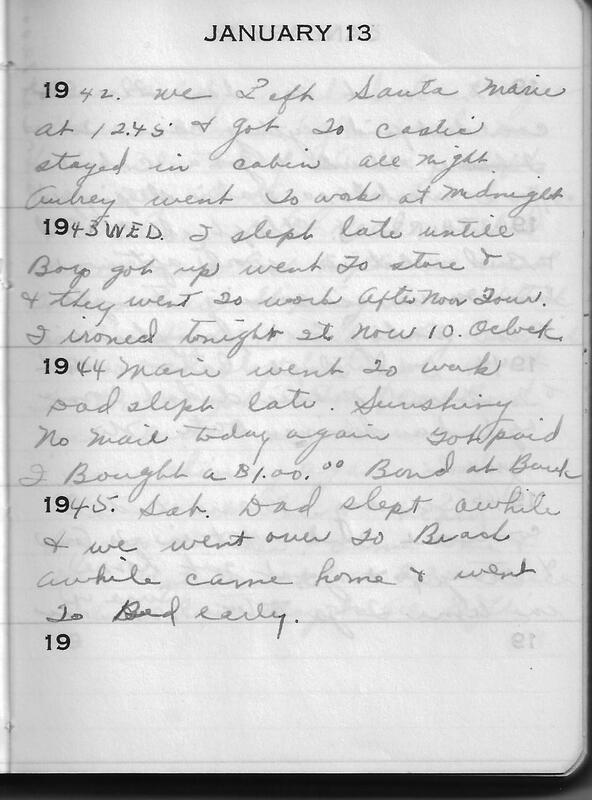 1943 – WED. I slept late untill Boys got up went To store & & they went to work Afternoon Tour. I ironed tonight Its now 10. Oclock. 1945 – Sat. Dad slept awhile & we went over To Beach awhile came home & went to Bed early.